Deepesh Patel: Hello and welcome to Trade Finance Talks – our first ever podcast from Trade Finance Global. My name’s Deepesh Patel, editor at TFG, and during this series, we’ll be hearing from global experts and learning about the latest trends, tech and insights in the world of international trade and receivables finance. 2018 saw an unprecedented pace of change in trade, which was largely driven by geopolitics, sweeping regulatory changes and technological developments across tradetech. Moving into 2019, amidst a climate of uncertainty, three main themes have emerged: trade wars and sanctions, the regulatory treatment of trade, and the digitisation of trade. The decisions and advances being made right now will affect global trade – and its US$9 trillion contribution to the global economy – for decades to come. 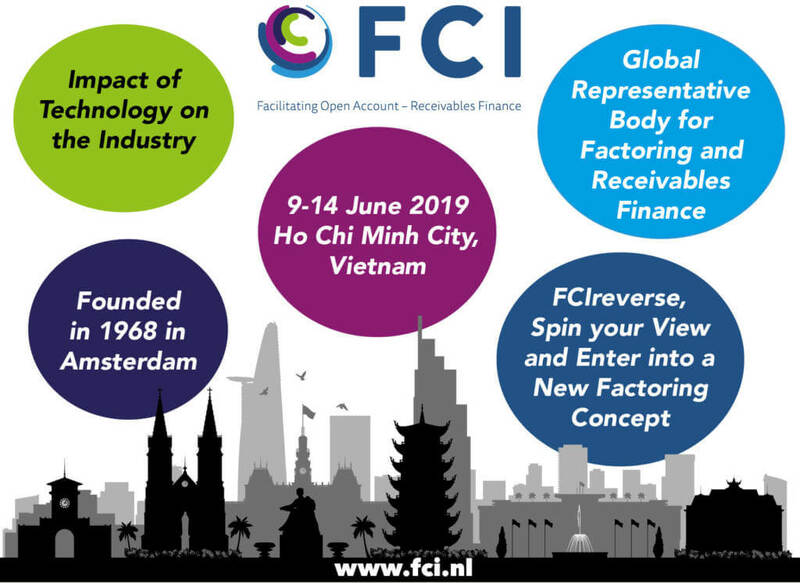 With that in mind, TFG has partnered with FCI at their fifth Factoring and Commercial Finance Summit this March in Lisbon. I recently spoke with Laurent Tabouelle, COO of CODIX. Laurent’s entire career has been in IT for the financial and now the SCF industry and, as CODIX’s Group Managing Director, we wanted to hear about some of the advances in software and technology within the corporate finance and factoring sector. Laurent, please introduce yourself to our listeners. Laurent Tabouelle: I’m the COO of CODIX, a technology provider and software editor. We created the IMX software solution over 25 years ago (which was applied to factoring 15 years ago), to service the needs of companies that provided commercial finance products to customers. That includes factoring, supply chain finance, and many other sub products within those two large categories. We service our customers worldwide and employee around 650 employees. DP: Great, thank you. Can you tell us what factoring and commercial finance companies expecting from the IT sector these days? LT: I should summarise this in terms of operations processing, as well as getting products out to market quickly. Now more than ever, there is a strong expectation to get products out of the door and show benefits to the customers quickly. 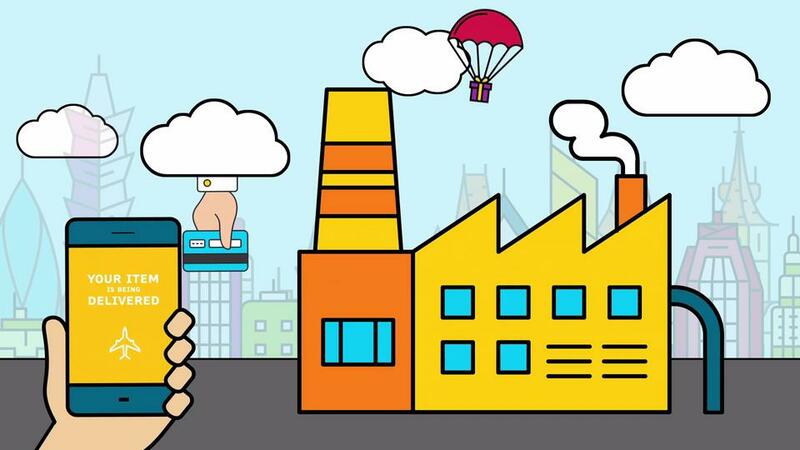 Beyond that, those companies are expecting a lot of efficiency improvements, so improving the efficiency of internal users and ever-increasing integration of the bank or IT systems with external data providers or service providers, such as credit insurers, company information providers, export credit agencies and so on. We need to make that as seamless and as connected as possible, with the ultimate goal of providing all of the answers and, eventually, the funding requirements to the end customer in a timely manner. Also, there is an expectation around being able to service different clients, as not all of those actors are fully established companies; there are many new entrants in the factoring world, so as a company we need to have adaptability. DP: You spoke then about adaptability. Can you explain what that is for? LT: When we say factoring, this term seems to be used differently among different players, and we should also talk about receivables finance here. In the receivables finance space, we see many products under this umbrella and depending whether our customers fund the whole portfolio, single invoices, or goods. It is therefore important for IT systems to support these products with flexibility and being adaptable to those new needs on the market. The second aspect, which is linked to this, is that this market is maturing, and the needs for internal processing are evolving all the time. As they get more mature, they need less explanation but need more controls on the fraud side. As an IT system, we have to continue to adapt with this flexibility. DP: As a result of this evolution, are established factoring companies actively looking at modernising their core factoring systems? LT: The short answer is yes. We receive a lot of RFPs for IT system replacement from established factoring companies and banks, and a lot of these investment decisions have been postponed for a long period of time. But in the last couple of years, there has been an appetite to move forward and refresh internal IT systems, which we’ve helped complete last year and many more will be completed this year. There’s a lot of interest in getting all those IT systems refreshed, remodelled, renewed, modified and changed, and this is not going to slow down in the coming months. But in the last couple of years, there has been an appetite to move forward and refresh internal IT systems, which we’ve helped complete last year and many more will be completed this year. DP: What are your thoughts on the platformisation of banking from a specialised IT supplier’s standpoint? Does this really exist in the market right now and what are the needs for platformisation? LT: I don’t really see a platformisation of factoring per se for multiple reasons. The main reason is factoring, as it requires a lot of understanding of customers – a close contact with customers and real attention to their buyers. With a pure platform approach you cannot do that. Alongside that, I see what is going on in the selective invoice finance world and market, and there, a platformisation does exist. We’ll see how it evolves and supports the next global economic slowdown. For the time being, this is an alternative to traditional factoring and traditional funders; we see our prospective customers in this world, some of them are going through this downsize and have matured their model to try to mitigate the risks inherent to that product. That product is really quite far from factoring in terms of risk management, customer approach, and philosophy. But I don’t usually put them in conflict because they’re a different offering and they complement each other rather than compete against each other. A company that would go for selective invoice discounting would probably not choose full fledge factoring at that moment anyway. This corresponds to different needs for different suppliers and companies. DP: You make a very interesting point regarding the fact that the actual products differ so widely between companies and also on the platformisation we see in the trade market, especially given the complexity of the various different elements of trade balance. It’s often very difficult to implement technology in a platform with a one-size-fits-all approach. We talked about the digitalisation of trade and goods finance, to what extent does this apply or impact on your clients? LT: In two ways. It has brought us new customers and, as I was saying, we already have some customers, which is a fairly new phenomenon. The second aspect is that it has pushed some of our customers to rethink their web strategy and their product portfolio. Some of those platforms are getting bigger and attracting some market attention, so those traditional players who used to think this is not for them, have understood single invoice financing can be seen as a first step into the factoring world. In addition, through single invoice finance, an appetite has been developed by some smaller size companies or companies that have not done full fetched factoring, and they will eventually get used to receivables finance and convert into factoring customers. Even for those who have not made that step yet, the whole fintech evolution has made the traditional players pay more attention to their WEB presence and the usability and the ease of use of the WEB, not because it is better but because it would be easier to use. DP: I know that you’ll talk at the Bank and Finance Summit in Amsterdam next June. So, leading on from that and I guess to conclude, what do you see in the short-to-medium-term future of some of your systems, such as IMX. LT: It’s a never-ending process – we enrich the solution with ideas and recommendations from our internal analysts, and the new requests we receive from our customers and from the market in general. But to be more concrete and more precise in the short- and medium-term, it is vital to acknowledge and integrate the e-invoicing platform. Thus, integration needs to be made readily available to our customers. In the longer-term, we need to look at enabling the integration of block chain solutions. When it becomes clear that some of them will become mainstream – that they’re interesting and growing solutions – we will integrate them, because this is a trend for the future, not only for receivables finance but for commercial finance in general. I think that is the backbone for all large-group buyers and suppliers – to exchange commercial documents. From a more technical standpoint, we are looking towards artificial intelligence, and how to apply it to the commercial finance industry, especially for prediction or probability of getting invoices paid. Then there is the question of how to get invoices paid back by the buyers and the probability of default or fraud from customers. It would be easier if we shared data among our customers, but that is not our positioning as we need to protect data. Ultimately, the aim must be to share intelligence at the customer level. It would be easier if we shared data among our customers, but that is not our positioning as we need to protect data. Ultimately, the aim must be to share intelligence at the customer level. DP: Very interesting, Laurent. 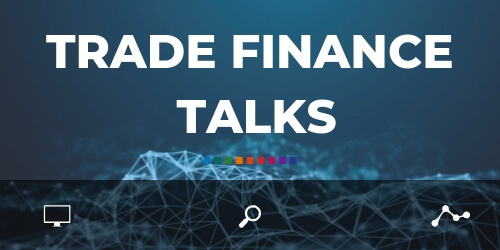 I think there are three themes you’ve discussed today, in terms of what’s happening at CODIX and amongst technology providers for trade finance. Firstly, integration: we need to keep thinking about how to integrate the data between buyers, sellers, financiers, traders, etc. Second: how we can use some of this data to take a look at future predictions for invoice payments and rethinking this data to build credit scores and trust algorithms between customers and suppliers. The final theme is around the usability of this to look at the customer journey, customer needs, and integrating some of these systems. CODIX will be speaking at and sponsoring the Fifth EU Factoring and Commercial Finance Summit in Lisbon which the FCI are hosting this March and we’ll hear more from Laurent then.